Rediff.com » Movies » Bollywood's truth about Cats and Dogs! Bollywood's truth about Cats and Dogs! No, we're not talking about food, beverage or alcohol. A dog takes centrestage in Akshay Kumar's upcoming film Its Entertainment and really, some of them play important roles in the lives of some of our Bollywood actors. Here's looking at B-Town's celebs and their adorable pets. Alia Bhatt has two cats, named Pika and Sheeba, and loves taking selfies with them! Please click NEXT to see more star pets. Sonakshi Sinha has a pet dog named Kuro. 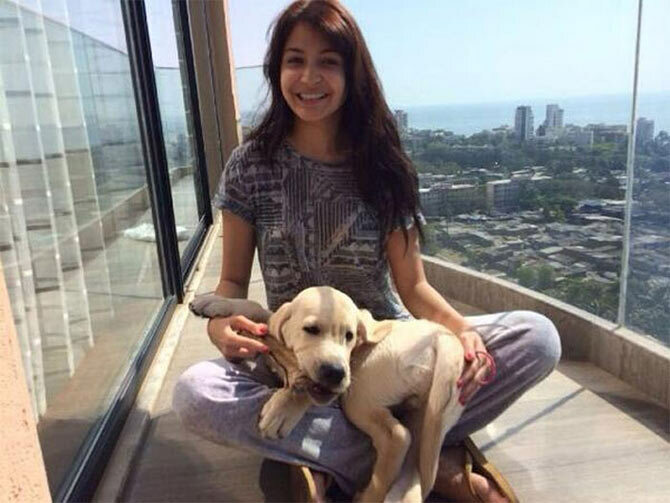 Anushka Sharma has a pet Labrador named Dude. Anushka describes Dude as the love of her life! 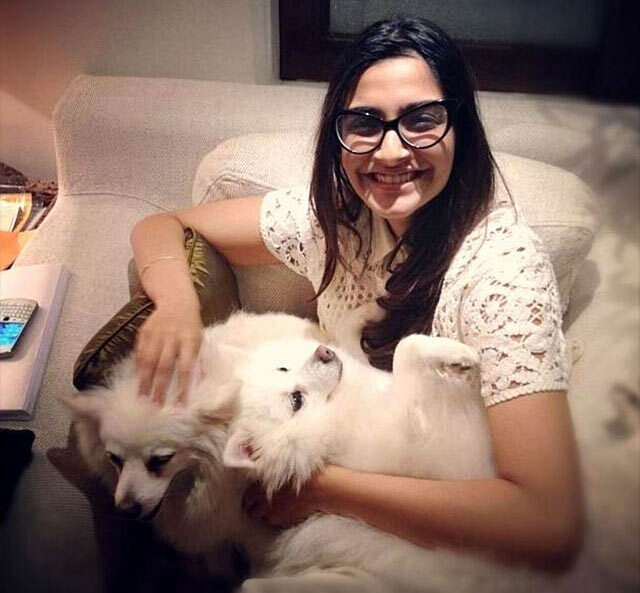 Khoobsurat actress Sonam Kapoor has three Pomeranian dogs named Coke, Bacardi and Feather. 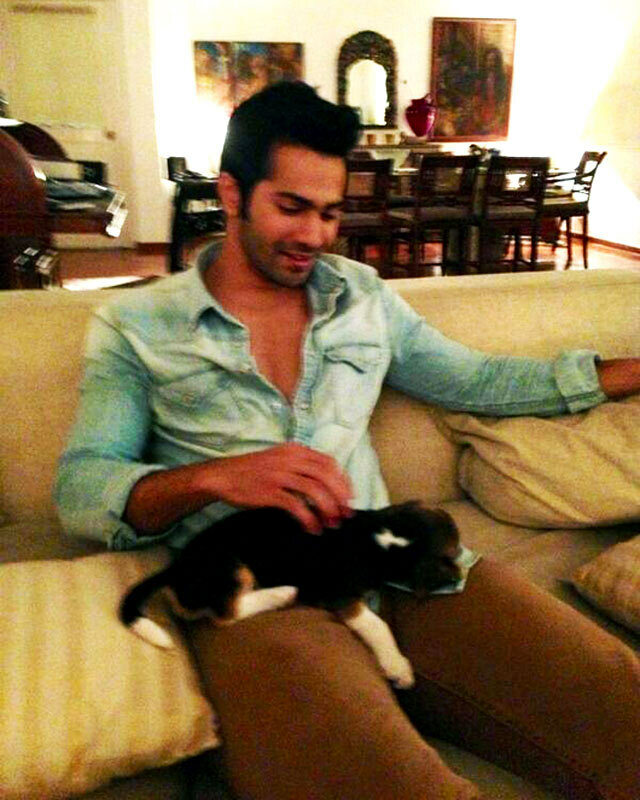 Varun Dhawan loves spending time with his little Beagle called Angel. 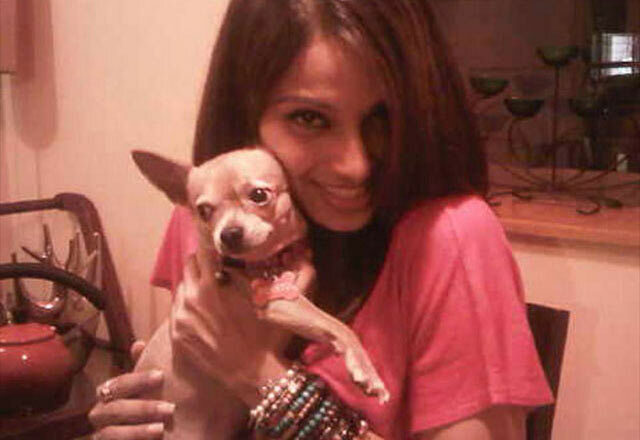 Bipasha Basu is a proud owner of a Chihuahua, whom she has fondly named Posto Basu. 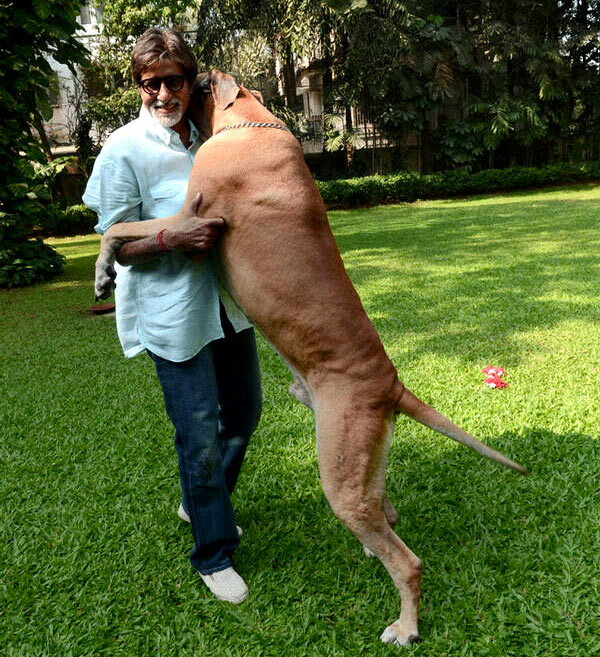 Amitabh Bachchan owned a Piranha Dane called Shounak. Unfortunately, he passed away last year. Kalki Koechlin with her cat, Dosa. 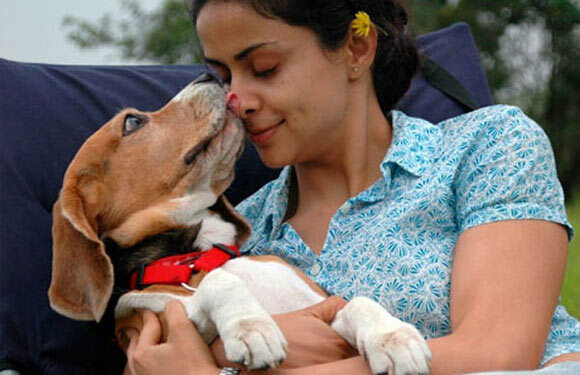 Gul Panag has two dogs -- Milo, a cocker spaniel and Vegas, a beagle. Interestingly, both dogs have their own Twitter account! 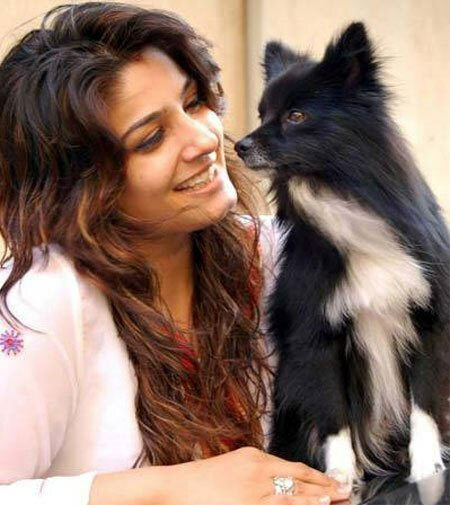 Raveena Tandon, who is making her movie comeback with Anurag Kashyap’s Bombay Velvet, owns a black and white Pomeranian called Rambo. Mandira, Katrina, Priyanka: Who's got the BEST muscles? VOTE!